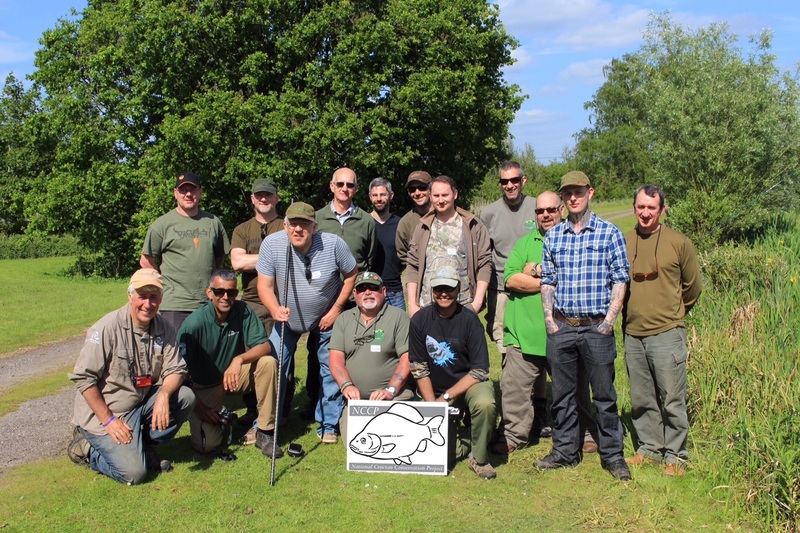 The Association of Crucian Anglers – a great bunch who are committed to making things happen. I’ve spent the vast majority of my working life in some sort of representative capacity. In fact this predilection for speaking up on behalf my peers probably goes back even further. I was a gobby kid who couldn’t resist challenging authority at the rather stuffy all boys grammar school that I attended in the late 1960’s. I went on to be a rebellious student and then was elected by my workmates as a mildly militant shop steward and trade union representative to look after their interests. Moving from Heathrow Airport to Reading saw me spending more time chasing fish in the Kennet and middle Thames but even this was to lead back to familiar ground. A move by the local council to ban fishing on a popular stretch of the Thames Promenade in the centre of town saw me once again clicking into campaign mode and before I knew it I found myself elected on to Reading Borough Council. A couple of years later I had the pleasure of overturning the angling ban and then establishing an angling development programme for local kids on the same stretch of river where once we were unwelcome. All in all I spent 26 years in public life before retiring from the House of Commons in 2010 but there was never a chance to escape for long. My sabbatical in Australia saw me dragged into angling politics Down Under and I ended up writing the Keep Australia Fishing report on behalf of the recreational angling sector which outlined how they could become better organised and more effective in pressing their case with both government and the media. By 2012 I was back home in more senses than one as not only was I again fishing for roach, chub and barbel rather than marlin and barramundi but I was engaged by the Angling Trust as their National Campaigns Coordinator. In all these roles I’ve had the pleasure and privilege of representing some fine people and occasionally helping them to get good things done. I’ve also had the more dubious pleasure of spending countless hours listening to various gobshites banging on about ‘what they should be doing’ secure in the knowledge that these particular bags of noise had absolutely no intention of rolling up their sleeves and doing anything themselves. I was reminded of this charming trait in human nature just the other week. Regular readers of this column will know how the now successful National Crucian Conservation Project (NCCP) came to fruition. The angling artist Chris Turnbull contacted me a while back to see if we could do something to promote crucian carp and protect and enhance their threatened habitat. With tremendous support from our colleagues in the Environment Agency we pulled together a bunch of experts and activists, including Crock of Gold author Peter Rolfe, and got on with the job. 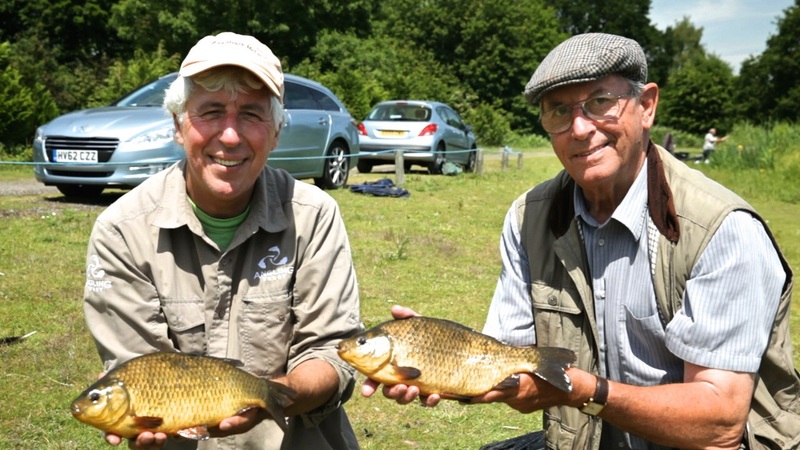 Little did we realise just how popular this cause would become and we now have clubs and fishery owners contacting us on regular basis for advice on creating bespoke crucian fisheries, much in the way that Godalming Angling Society have done at their trailblazing Marsh Farm complex. 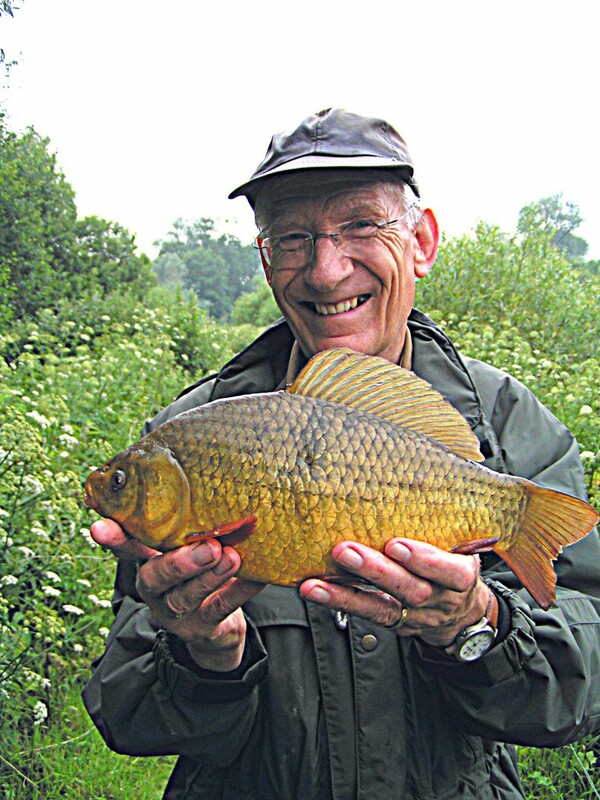 There is a thriving Facebook Group for the Association of Crucian Anglers, regular fish-ins, advice and information videos and a soon to be published ID guide to help distinguish true crucians from hybrids and other imposters. Crucian guru and author Peter Rolfe has contributed a lifetime’s experience to helping others preserve his favourite species. For me one of the pleasures of working for the Angling Trust is being able to help anglers with energy and enthusiasm turn good ideas into practical action to improve fisheries and benefit our sport. I was recently asked to give a presentation to the Annual Coarse Fish Meeting at Sparsholt College in Hampshire where some of our best fishery managers started their careers. I spoke about the campaigning work of the Angling Trust and showed a couple of our recent videos we have made about developing crucian waters. The guys from Godalming were in the audience and there was broad approval for what we are all doing – after all what is there not to like about the crucian project? I don’t know why I’m still surprised by the reactions of some people as I’ve been around long enough to have seen the best and worst that is on offer. But a recent comment on the Angling Trust Facebook page to a NCCP posting summed up for me the different mentalities of those that whinge and those that do. The third crucian project video features the creation of a growing on pond which will provide stock for some of the surrounding waters. We produce these videos with the express aims of promoting good practice and encouraging others to do likewise with the benefit of prior experiences. 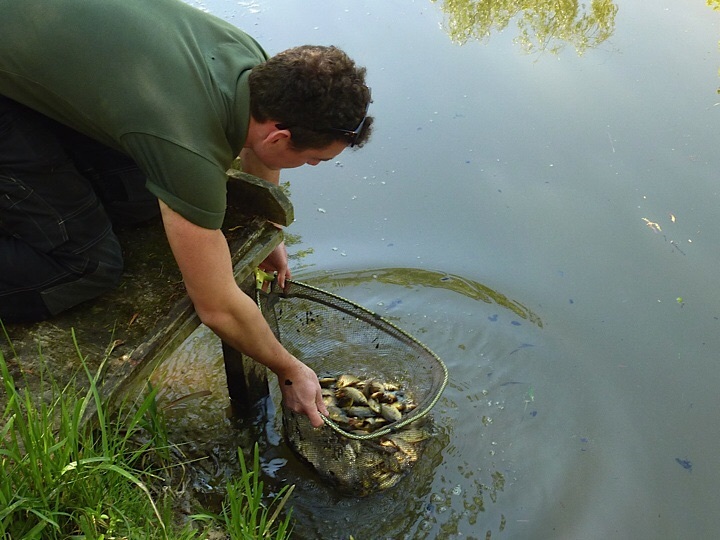 The guys at the Godalming club have clearly set the standard in the creation and management of quality crucian fisheries and the capture this year of two record fish from their Johnson’s Lake is proof positive of how effective they have been. The club have been enthusiastic supporters of both the Angling Trust and the NCCP from day one and for me they some up the very best of the ‘can do’ mentality that I so admire. No surprise then when they offered to turn one of their ponds into a growing on facility, not for their gain, but to create a source of pure bred crucians that will benefit other fisheries in the area. This is a key objective of the project and so I arranged for my friend John Sutton, a former EA fisheries team leader turned film maker at. Clearwater Photography, to accompany me to watch the Calverton stockings go in and to make a short video about the process. Whilst I was tempted to reply with something ungodly I confined my response to pointing out that anywhere in England can have what ever they care to organise as long as they’ve got the wit, gumption and energy to get off their butts and make something happen. Godalming Angling Society didn’t wait for the Angel of the North, Father Christmas or anyone else to come down a make them a nice fishery. They got on with it themselves, as have Newbury AA, Christchurch AC and many other forward thinking angling clubs run by those that do rather than those that whinge and moan and expect others to do it all for them. 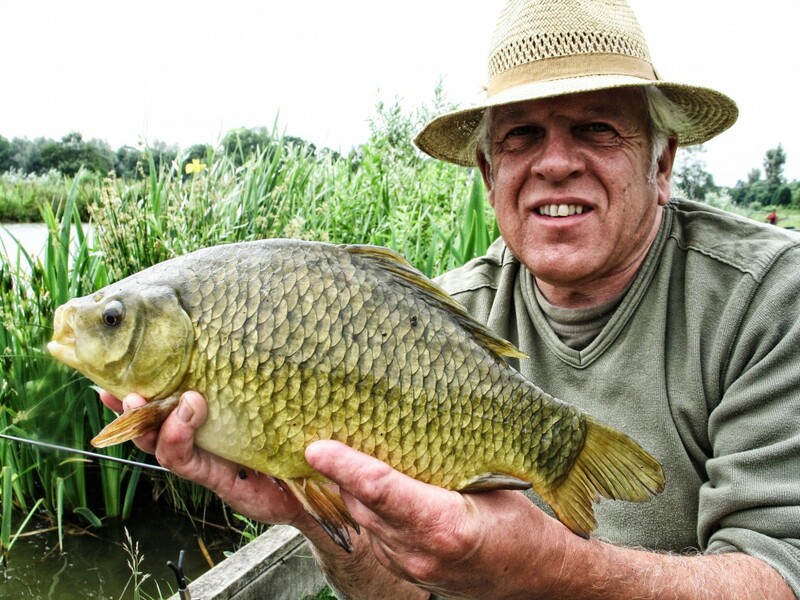 Some of the wonderful crucians to be found at Godalming’s Marsh Farm fishery. And of course it’s not just in wonderful world of crucian conservation that such attitudes persist. I’ve lost count of the number of times I’ve had people tell me what the Angling Trust should be doing for angling yet they see absolutely no reason why they should ever have to join themselves and contribute towards making it happen. Luckily, there are enough good people out there to keep my faith in human nature but it does get tested at times! You can join the Angling Trust and help fight for fish and fishing by going to http://www.anglingtrust.net/join or by calling 0844 7700616.